Description: This patch will convert the Lebron 9 Triple Black shoes into Anta KG 3 away shoes (Celtics' green, black & white). 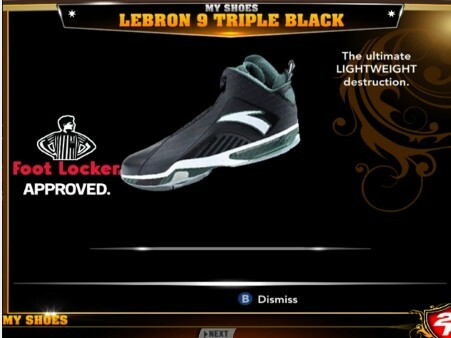 This NBA 2K13 shoes looks awesome specially if you're using it with Boston players. 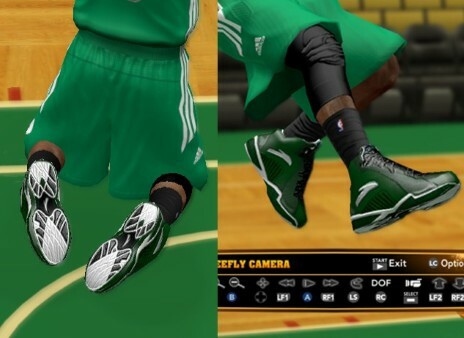 The Anta KG 3 shoes is one of the signature shoes of Garnett. 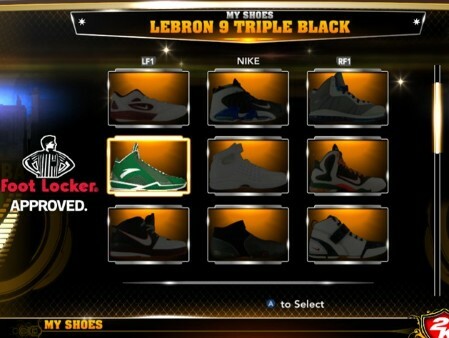 - Copy the 2 .iff files in to your NBA 2K13 game folder. 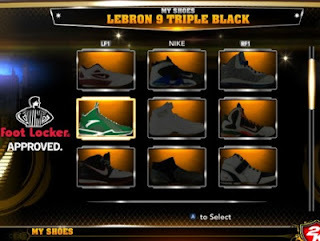 "C:\Program Files (x86)\2K Sports\NBA 2K13"
or "C:\Program Files\2K Sports\NBA 2K13"
Go to NBA 2K13 “Main Menu” > “Features” > “2K Shoes” > “My Shoes” > Select the Anta KG 3 Shoes > Choose “Equip Shoe” > Go to Boston Celtics team and choose Kevin Garnett or any players you want.